Tractor Front Wheel Valve Low Profile Haltec 6008 / BOWES HT 6008. 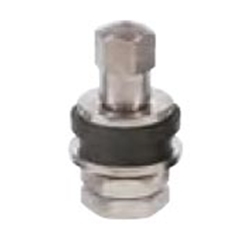 Low profile valve offers minimum protrusion above the rim. 9/16" effective length with chrome finish. Fits .453 or .625 valve hole.